From I-64. Take exit 238 (Route 143) and go one-half mile. Turn right on Route 132 South. Pass through the Route 60 By-pass intersection. Cross over the railroad tracks. Turn right at the stoplight at Lafayette Street. Go approximately 0.4 miles and turn left onto Harrison Avenue. Proceed two blocks and turn right onto Richmond Road. Go two blocks. Boxwood Inn is on the left at 708 Richmond Road. Use the service of Google Maps to print out door to door directions from your home to our Colonial Williamsburg Bed and Breakfast! Our address is already pre-entered. Once you CLICK HERE just click the "To here" link and enter your address. That's it! Just print the page out on your printer and you have your own door to door directions! 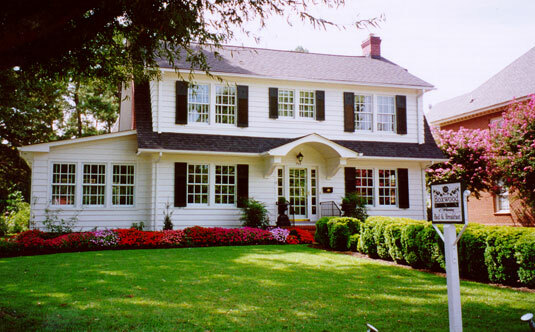 Traveling to our Williamsburg Virginia Bed and Breakfast is simple and worth the drive!